Because today’s racing engines run at higher RPM levels with harsh cam profiles, the tip of the valve stem must withstand a tremendous amount of pounding. These engines always run just on the brink of one of the most severe conditions that exists – valve float. The best solution to this problem is the COMP Cams® Valve Lash Caps. 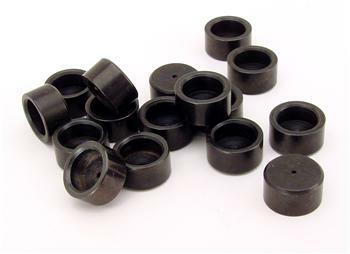 These lash caps are precision machined and ground perfectly flat to maintain accuracy of valve train adjustment.